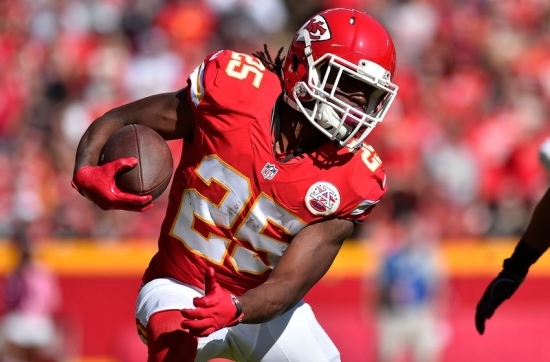 In an interview with TMZ former Kansas City Chiefs Running Back Jamaal Charles stated that he deserves to be a Pro Football Hall of Famer. Is he right? Charles played 11 seasons, the first nine of which in Kansas City where he had the vast majority of success. It was there we had five 1,000 Yard Rushing Seasons with three of those seasons being enough to place him in the top four in that statistic. He was a four time Pro Bowl and two time First Team All Pro and we retired with 7,563 Rushing Yards and another 2,593 by way of Receiving. This is a good career but it lacks what is needed from a modern Running Back to get into Canton. Fellow Running Back, Shaun Alexander also had five 1,000 Rushing Yard Seasons and is a former MVP with similar Yards from Scrimmage and he has yet to receive any serious consideration. Charles doesn’t have the monster year on his resume that Alexander had and what also hurts him is that the seasons where he didn’t put up good numbers he barely put up numbers at all hurting the overall “compiling” numbers that can help some candidates. Charles will be eligible for the Pro Football Hall of Fame in 2024 but he will be fortunate to ever be listed as a Semi-Finalist. That isn’t to take away from his career but the bar is high to become a Pro Football Hall of Fame inductee.